On the Internet, videos are often uploaded, where good people take care of helpless animals. And it's the right thing to do! In many cases, animals can not help themselves, so people often get into the action for them. This was the case in a video clip uploaded online at the beginning of January. When two workers of the Austrian Federal Railway were cleaning the snow from the tracks, they detected the movement during their journey in the snow. They quickly stopped their train, then stepped into action. Each carefully began to bounce off the snow with the help of shovel, and then their concern turned out to be justified. Under the snow, there was a helpless chamois who did not find the way out from heavy snow. The co-worker took the whole action to the camera, and the video quickly circled the world and impressed many. 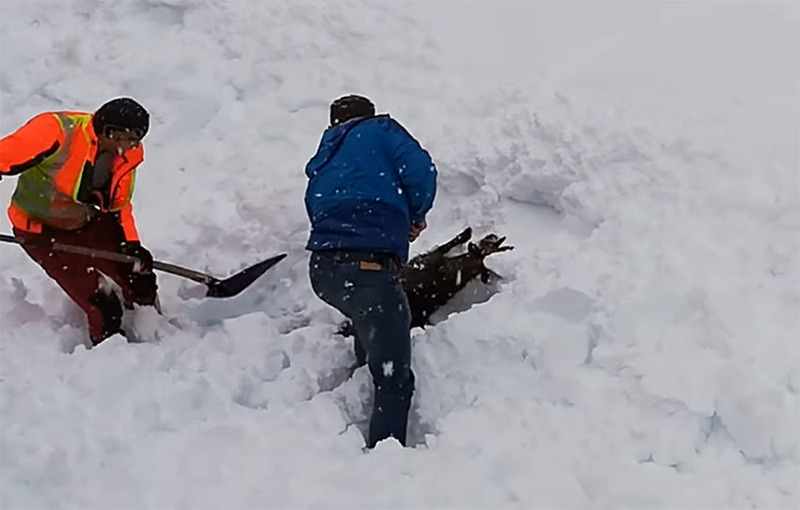 The workers found themselves at the right time in the right place, and saved the innocent animal's life with their action.